There’s no real French equivalent to the old saw ‘Ne’er cast a clout ’til May is out’. Yet keeping your overcoat handy until at least June 1st was long Grand Mere’s advice, especially in the days before central heating. As ever, there’s a lot of common sense in old adages. This one proved to be sagacity incarnate in France these past two years, where Halcyon spring seemed to be slipping serenely into summer only for the weather wasp to turn around and bite us on the ‘derriere’. Perhaps it’s because Mother Nature is a Grand Mere too and wanted, in typical grand-maternal fashion, for us not to think life was a bed of roses. Or perhaps in our case, in France, a divan full of chardonnay vines. Whatever the reason she has, twice in succession, visited us in the last week of May, in full pomp, pounding us with hailstones the size of golf balls and freezing our toes off. But it’s bad news for the vineyards. Once vines put their minds to it they grow at a voracious pace. But round about this time of year they’re still rather fragile in the bud. With this year’s damp and cool weather, they’re about two weeks off the pace as well. Doigts croisés they’ll catch up – go vines! 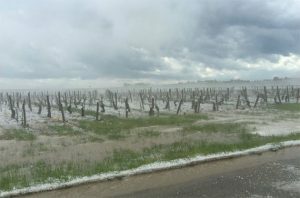 The hail of 2016 caused bad damage in certain parts of Burgundy, particularly around Chablis, and in the Loire. The quality of wine was good, in places excellent, but the quantity was poor. That means prices go up. 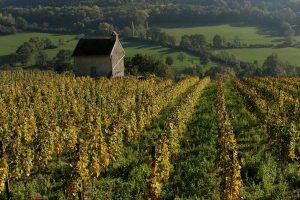 Luckily the frosts of 2017 didn’t have quite the impact they might have – there was plenty of wine produced, but some of the quality isn’t great. Will the price go down – who knows? 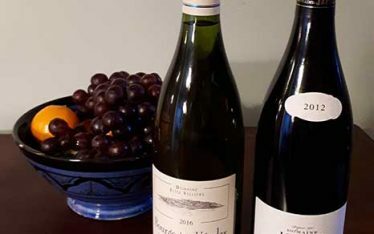 Perhaps the best news is that French vignerons, who used to meet bad weather with a laisser-faire Gallic shrug, have woken up, smelled the café, and started to dial-up the technology. In large part that still means candles, so it’s not exactly hi-tech. 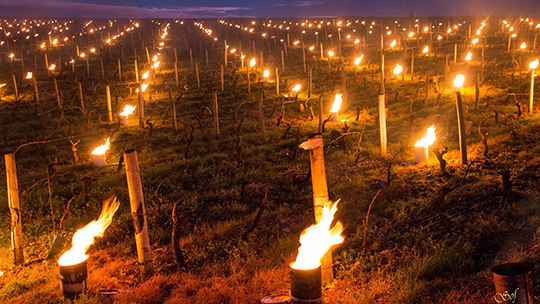 Last year the candles were on the verge of running out, some vignerons got to the stage of hiring helicopters to hover over their most precious vines in an attempt (more or less successful) to lift the air temperature. Some of the big boys have also invested in cannon which fire ‘shells’ of silver iodide into the atmosphere, preventing hail from forming. Neither have been used this year so, on the basis the local barns are stuffed to the rafters with candles, we’re in for a scorcher of a summer. As Grand Mere would have it – ‘no point locking the stable door after the horse has bolted!’ But as we approach midsummer’s day, which is traditionally celebrated on June 24th as the Fête de Saint Jean, with its profusion of bonfires creating ‘le feu de Saint Jean’, we can finally feel confident the horse is still safely in the barn. 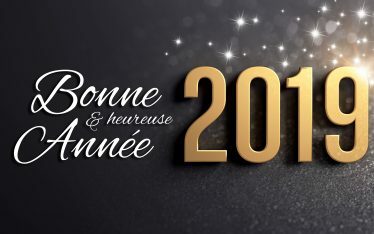 On a cultural point the Summer Solstice is actually June 21st but in France we celebrate Saint Jean on 24th because the Catholic Church didn’t want to celebrate anything pagan so moved it to coincide with the feast of Saint John the Baptist. 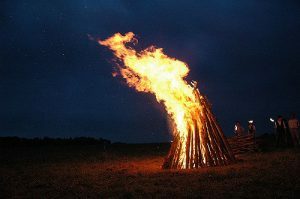 To be honest bonfires and ‘le feu de Saint Jean’ have only just really made a comeback, and are more about the celebration of youth than pagan rites these days. In some places they have even reinstated the tradition whereby young men and women jump over the bonfire in order to to find true love before the end of the year. Quite what all that heat does for their wedding prospects is anybody’s guess! What can you learn from a wine label? 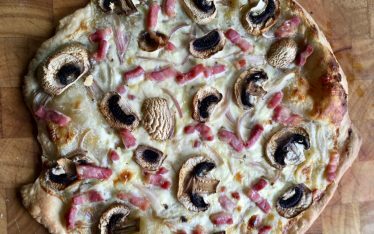 In France they eat with their eyes!